Step 1. Please connect your device to the computer and go to "Restore" function. 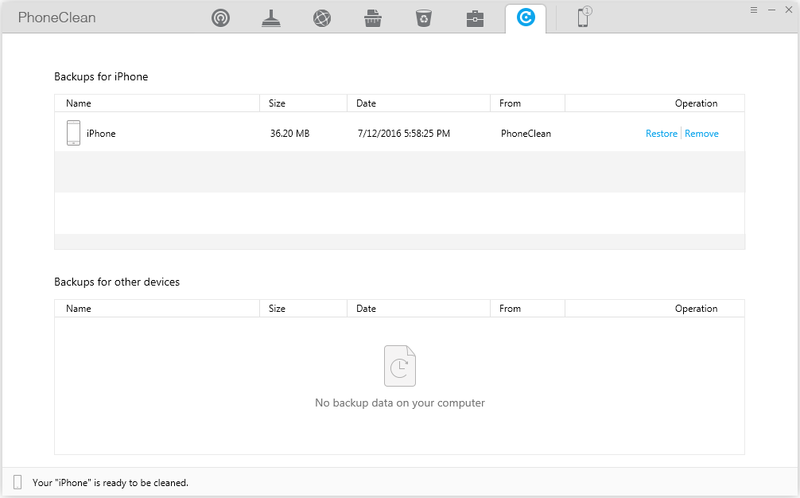 Then your iDevice backups will display in the list. 2. Please choose a backup to restore. 3. 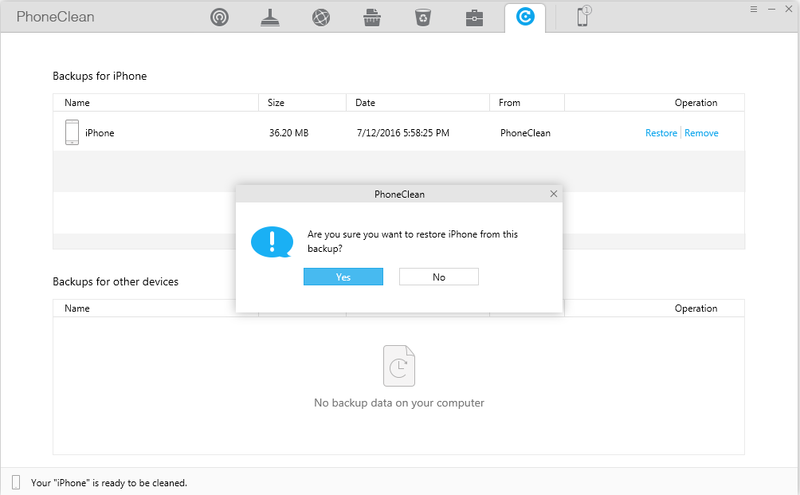 Once PhoneClean restores data successfully, PhoneClean will start over to the Restore main window automatically.